It’s been two weeks since iOS 5 and iCloud became available for developers and to be honest I’ve been busy playing with iOS 5 and haven’t seen much of iCloud until now. The first thing I remember was the setup, after installing iOS 5 it prompted me to enter my Apple ID and enable iCloud. After that, the only thing I tried was backing up my devices to the cloud, which still freaks me out a bit, since everything is in a hard drive in the sky. The process was very seamless, turned on the option and it just worked, or at least I think it worked. After the first backup, you can go deeper into the settings and select which app’s data you want to keep and which ones you don’t. This next feature will make synchronizing a cinch. In the new iTunes 10.3 and the latest non beta iOS 4.3.3 devices, you can turn on Automatic Downloads for music, apps, and books. With this option on, anything you buy on one device, say your iPhone, will automatically appear on your other devices (Mac, iPad, etc. ), keeping all devices in sync. The only problem I see is you might not want to have every app on all your devices, but that’s easily solved by deleting it from the device you don’t want it on. What else is cool? Photo Stream, it just works. Take a picture with your iPad and it shows up on your iPhone, what else do I need to say? Well, actually I think it would be even cooler if it allowed me to share a stream or photo album with other users, now that would be awesome! Things I haven’t been able to test: Documents in the cloud and calendar sharing. I can’t seem to find the way to share a calendar with another iCloud user. As for Documents in the cloud, Pages didn’t prompt me to use iCloud for storage like was seen during the Keynote and there’s no sign of the feature in the app. So I don’t know, maybe they haven’t enabled that feature yet? In response to Lauren Carlson‘s Can Apple iCloud make it rain in the Enterprise? 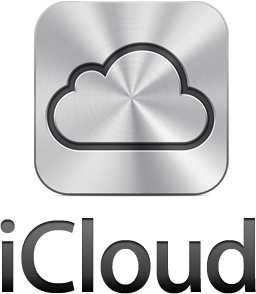 From what I’ve seen and what we know of the way iCloud is setup, my answer would have to be not yet. Unless you are, at the very least, able to share documents with other users through iCloud, it won’t be adopted in a business environment. This is something that undoubtedly will come, if not from Apple, from third party developers now that the iCloud APIs are available. 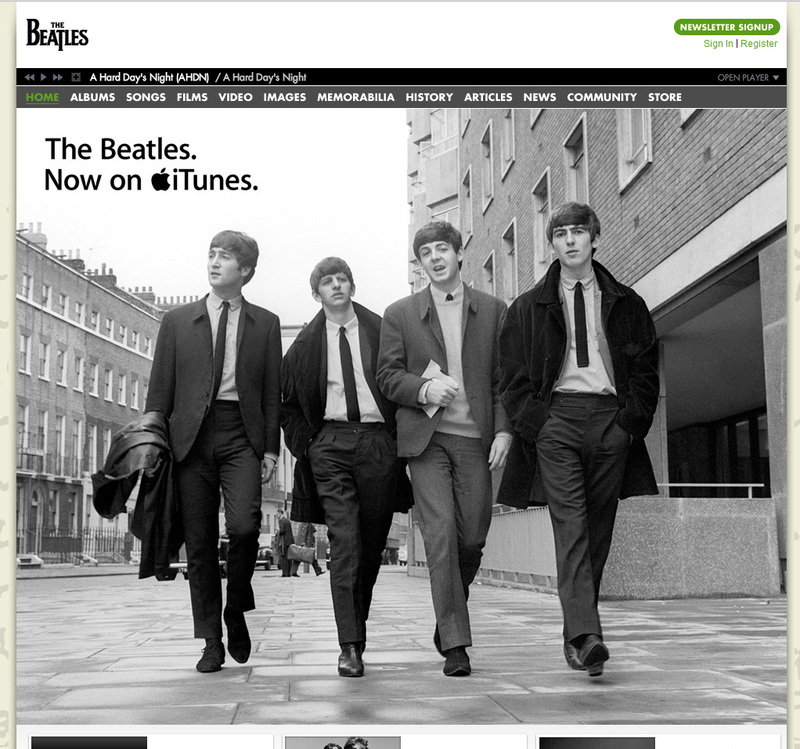 Apple is promoting the hell out of the Beatles iTunes deal, but looks like the Beatles are doing their part as well on thebeatles.com. That’s all folks. Is it cool? Yes. Was it over hyped? Kind of. I guess all they did was put a note on their website, but “a day we’ll never forget”…I don’t think so. 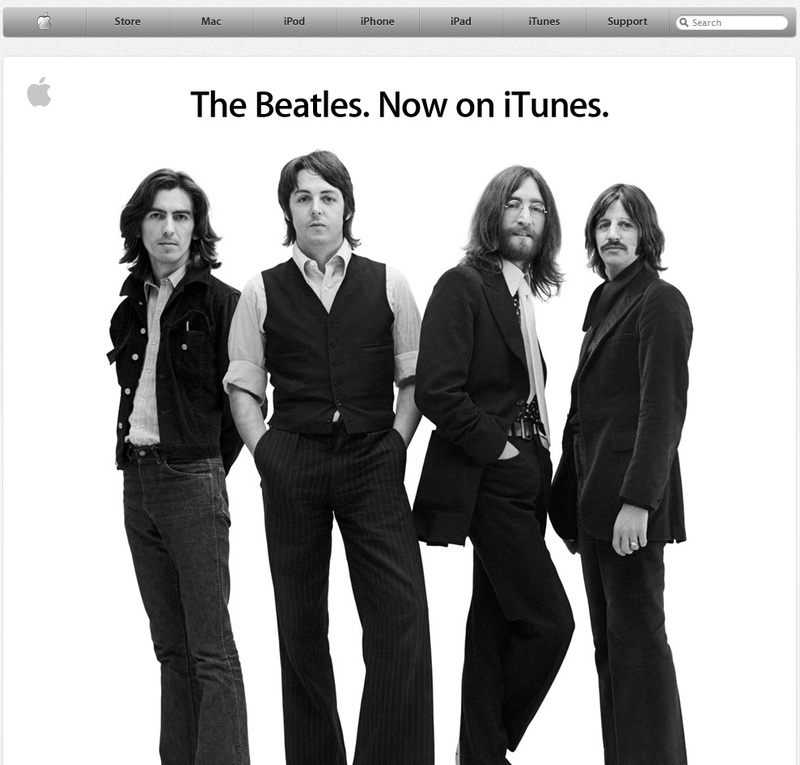 Apple Corps, EMI and Apple® today announced that the Beatles, the most influential and beloved rock band in music history, are now available for the first time on the iTunes Store® (www.itunes.com). Starting today, the group’s 13 legendary remastered studio albums with iTunes LPs, the two-volume “Past Masters” compilation and the classic “Red” and “Blue” collections are available for purchase and download on iTunes® worldwide as either albums or individual songs. Fans can also get a special digital “Beatles Box Set” featuring the “Live at the Washington Coliseum, 1964” concert film, a worldwide iTunes exclusive which captures the Beatles’ very first US concert. For the 3 of you mega fans that don’t already own all their albums, you can now get them on iTunes. It’s been “coming soon” all day since the announcement at the iPod event, but now it’s finally available…go get it! In preparation for iOS 4 being released Monday (as far as I’ve heard), iTunes 9.2 is now available. If you want to upgrade to iOS 4 you must be running iTunes 9.2.